I had used Rimmel Wake Me Up concealer for almost a year and gone through about five tubes of the stuff so I decided to opt for something a bit different, for a change. I’d seen good reviews on the Seventeen concealer so decided to give it a go. It wasn’t like I’d be breaking the bank buying it either. I have to say I’m seriously impressed. For us paler girls, the shade ranges are perfect. I do believe I picked up the lightest shade and its perfect for me. The formula is just right, not cakey in the slightest but not watery either. It blends really well and doesn’t crease, where some concealers I’ve found have done so. I’m super impressed with this as it covers my dark circles perfectly and works well at brightening as well. When my beloved Benefit Roller Lash ran out I was devastated because it was honestly the best mascara to have ever touched my eyelashes. I decided I couldn’t justify the price tag attached again, well not for now anyway, so opted for something different. I didn’t think anything could compare to that mascara, and to be fair nothing has but this mascara comes in close second. The wand is rather huge which I know bothers some people but I feel I can make it work – it does what is says on the packet and gives your lashes a lot of volume, that stays put all day long. This is something I always look for in a mascara, longevity. 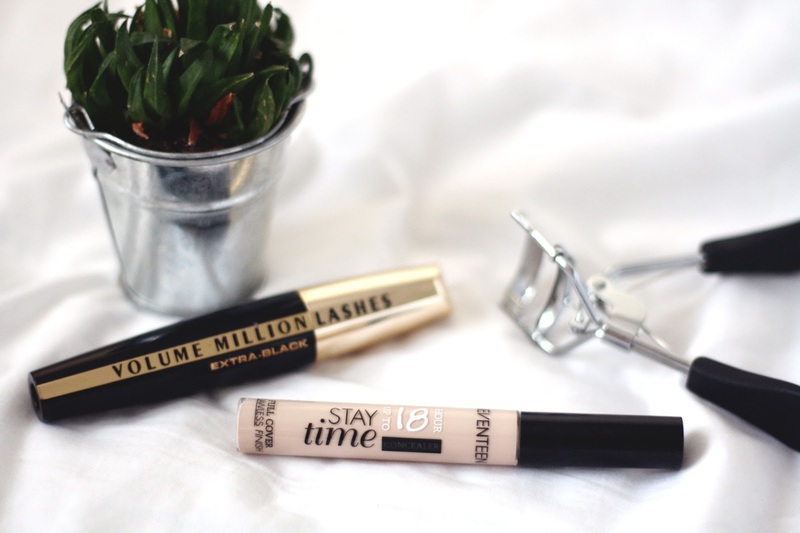 There is only one issue and its that it is pretty tricky to get off at the end of the day, but I think I can deal with that if I get nice voluminous lashes throughout the day!